Cambridge Bilingualism Network works with different groups in the community, schools, and nurseries to share current linguistic research about multilingualism, build a network of researchers and practitioners and collaborate for the benefit of speakers of more than one language. Recently, I have run an ESRC IAA funded researcher-practitioner forum series on the connection between multilingualism and wellbeing. I enjoy talking about why language is fascinating in all sorts of contexts. 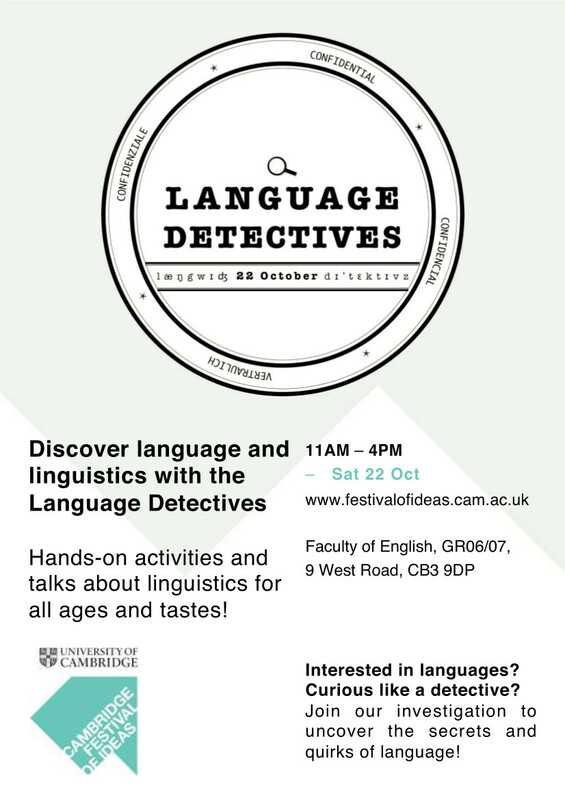 The Cambridge Festival of Ideas is a feast of events for the mind, where I have given a talk about pragmatics and child development, and organised some Bilingualism Network events. 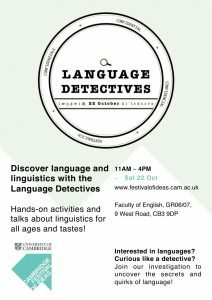 In 2016, with colleagues we ran a day of talks and drop-in activities covering the breadth of linguistics, Language Detectives. Cam Lang Sci, a blog from graduate students at Cambridge, is where I can sometimes be found talking about my research or current language issues. The ESRC Educated Brain seminar series brought together neuroscientists, psychologists, teachers and educators, and I contributed to the policy briefs, which are now available. In the past, I helped organise a residential for the UK Linguistics Olympiad. Cambridge Bilngualism Network made a mini film to encourage young speakers of community languages to keep up their languages and develop biliteracy, ‘Your Languages, Your Future’.